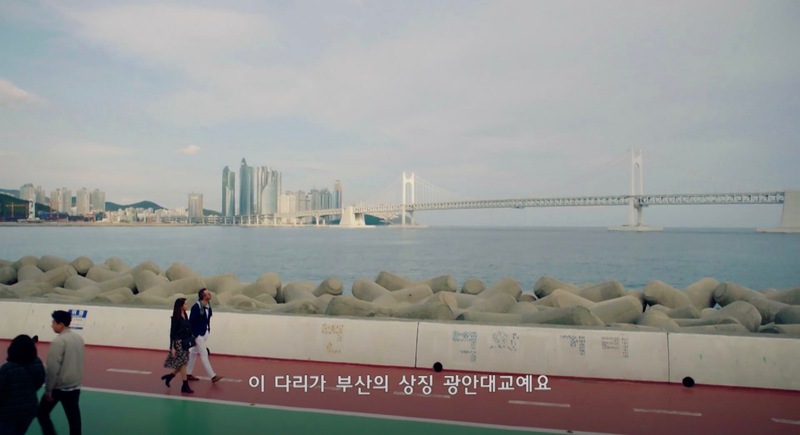 Goo Hae-ra (Lee Min-jung) is paid to show an Italian business man around Busan and she brings him here in episode 1 of Fates & Furies/Fates and Furies (운명과 분노) (SBS, 2018-19). 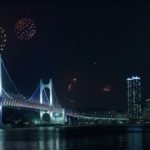 In episode 2, she is invited to a high society party thrown by Tae In-joon (Joo Sang-wook) and Jin Tae-o (Lee Ki-woo) to celebrate a business deal between their two companies and when Hae-ra saves the party by singing a song, another business man takes notice of her and tells her that he’d fulfill her a wish and she promptly asks him to see this bridge from the sky. 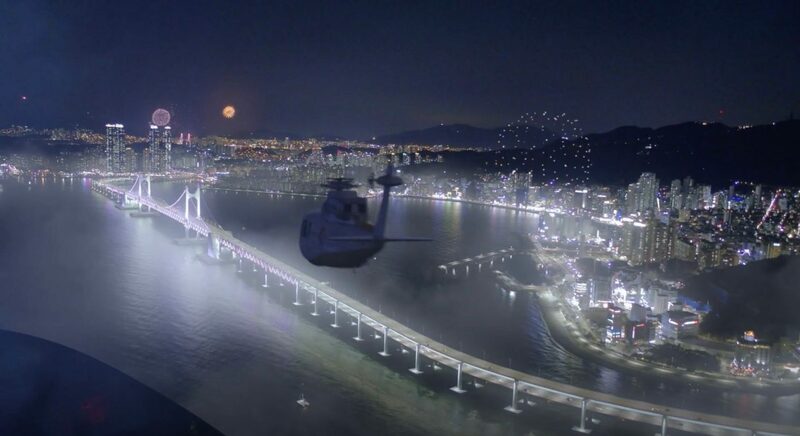 And off she takes with In-joon on her side in a helicopter. 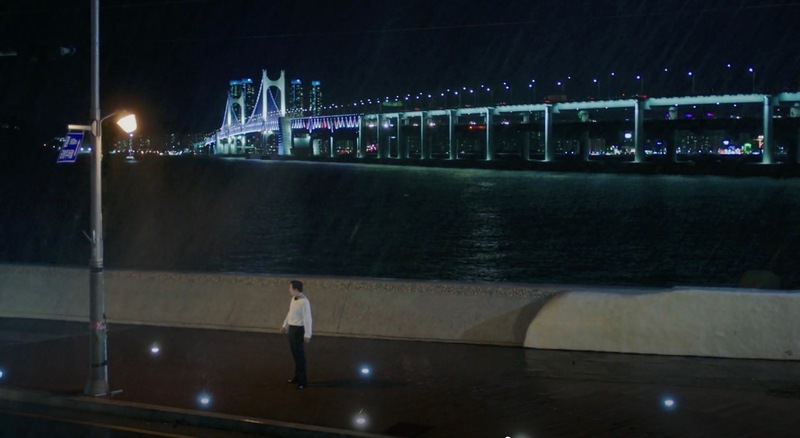 In episode 4, both of them have a fall out at the feet of this bridge. Also seen in Let’s Eat 3 (식샤를 합시다 3) (tvN, 2018); Untouchable (언터처블) (JTBC, 2017-18); Just Between Lovers/Rain or Shine (그냥 사랑하는 사이) (JTBC, 2017-18), Bride of the Water God 2017/The Bride of Habaek (하백의 신부 2017) (tvN, 2017). 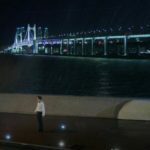 This bridge was featured in Will You Be There? (당신, 거기 있어줄래요?) 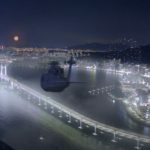 (2016), Mood of the Day (그날의 분위기) (2016), Haeundae/Tidal Wave (해운대) (2009) and in the North American film Black Panther (블랙 팬서) (2018). 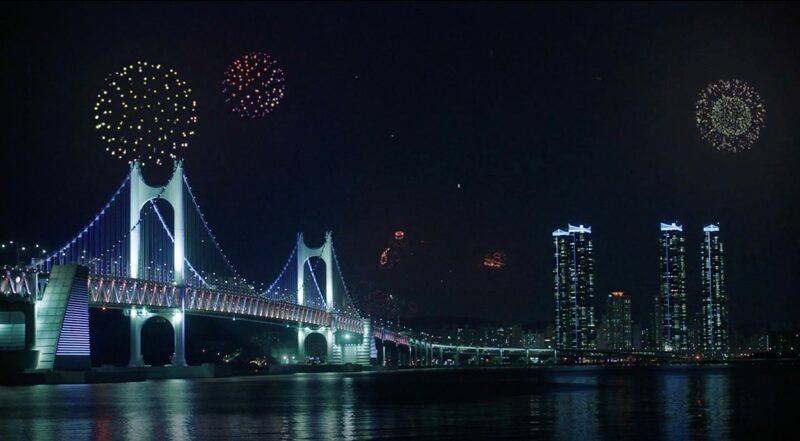 Gwangandaegyo [광안대교], that translates to Gwangan Bridge or Diamond Bridge, is counted as Busan’s landmark opened in 2003. 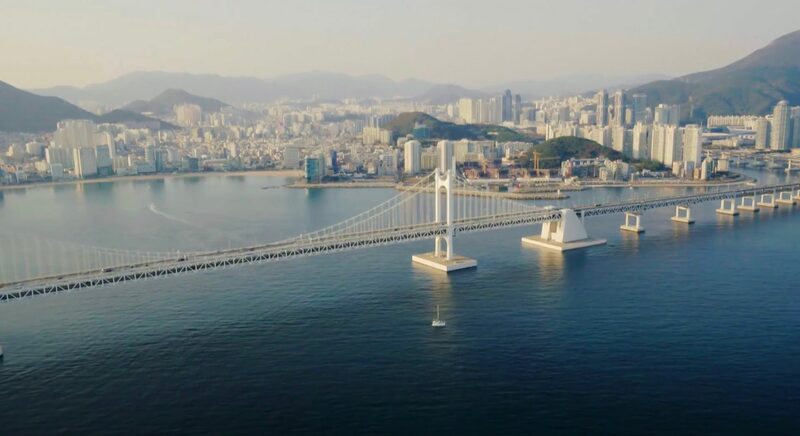 Spanning a little over 7 kilometers, it is South Korea’s second longest bridge after Incheon Bridge. 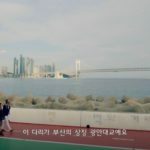 It can be seen clearly from Gwangalli Beach Busan [광안리해수욕장] and is an attraction especially at night when it is illuminated. 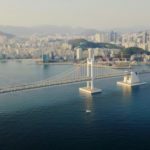 The bridge stretches across Busan’s neighborhoods Millak [Millak-dong/민락동] and Namcheon [Namcheon-dong/남천동], both located in the Suyeong District [Suyeong-gu/수영구].